A breed standard in animal breeds is a set of guidelines which is used to ensure that the animals produced by a breeder conform to the specifics of the breed. It is the template to which the breed aspires. Not all sheep are born with the correct features or markings and absence of these does not prevent the breeder from registering the animal, but nevertheless, that registered sheep may still be deemed not to meet the breed standard. The Zwartbles has good conformation, with a big frame, medium bone, good length and a wide pelvis. A tall sheep, with a striking and naturally polled head, a long neck and an erect posture. It is an upright and fully built sheep with an alert and lively character. Rams have a more muscular formed front part and a wider head. a) Fleeces should be thick and springy with a good crimp, with a true black base colour (though naturally bleached brown tips and age-related grey may occur). The fleece does not grow onto the head which, like the legs, is covered with hair. b) Blazes should be uninterrupted and reasonably straight and may be any width and may continue under the chin, but not into the wool. The white blaze should run from the crown of the head and may include the muzzle. Pink or black noses are acceptable. d) Two to four white socks – if only two they must both be on the hind legs. 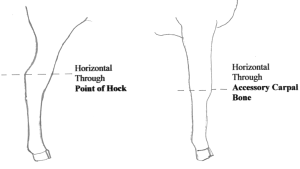 The sock should encircle the leg and touch the hoof at one or more places. 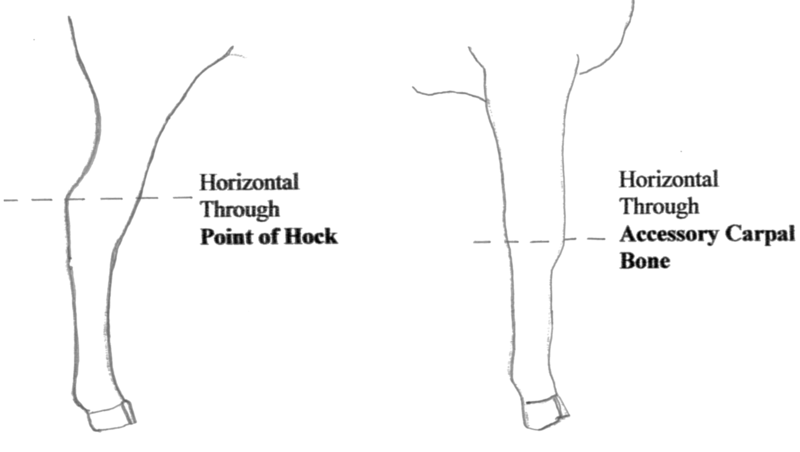 Socks / stockings should not be above the knee or hock (See diagram) please note it is preferred that the white does not extend this far. e) There should be no white in the fleece, on the ears or belly. Head: The head must be long and narrow with a straight to very slightly roman nose. Ears: These must be proportionately large and should be placed horizontally to erectly. Drooping ears are undesirable. Neck/Throat: Necks must be proportionately fairly long and flexible, and the latter should be carried erectly. A ram’s neck must be more muscular and somewhat wider. Shoulders: These should be strong and slightly sloping. Breast: This should be well-developed and moderately, but not excessively, wide. Viewed from the side the breast should protrude between the front legs. An adult Zwartbles ewe should have stomach and udder at the lowest points. Back: With the erect head and neck the back should run straight with easily detectable vertebrae. Ribs: From the back the ribs should be round and long. Rump: This should be long, slightly rounded, strong with a wide pelvis. It ensures easy lambing and room for wide udder placement. The top of the rump can be a few cm higher than the withers and the ‘sitting part’ of the rump can be a few cms lower than the hips. Thighs: These should be muscular, long and well rounded. 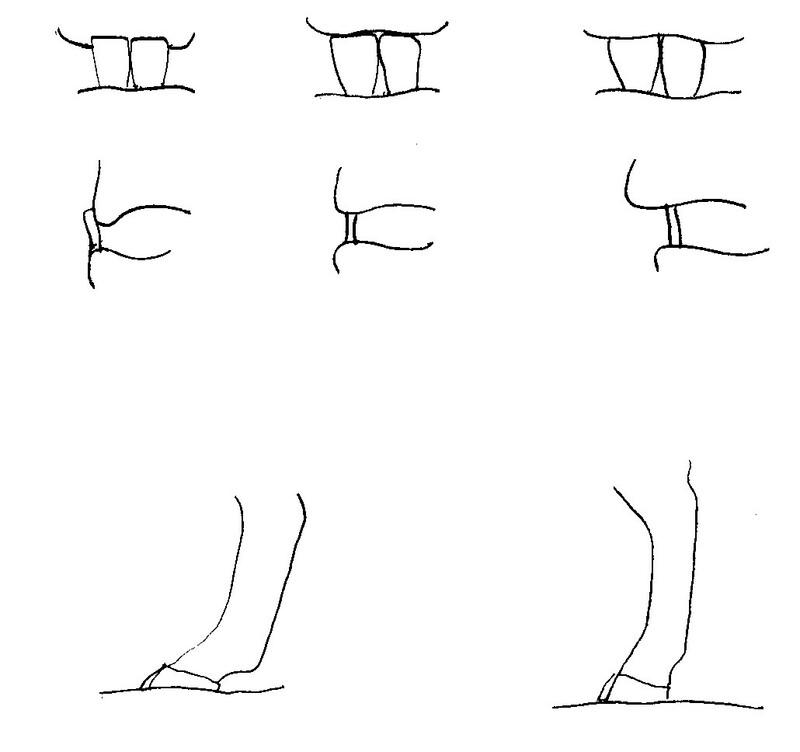 Legs: These should be long with medium to fine bone and correct pasterns. Pasterns that are too upright or collapsed are incorrect. (See diagram). The legs should be hard and tight. 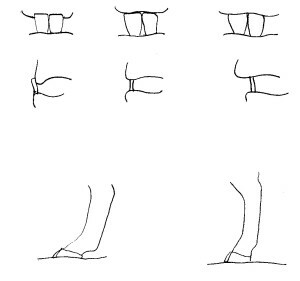 Correct Zwartbles posture includes straight and equidistantly placed legs the front legs of good tall ewes tend to come in very slightly from the shoulder to the knee and then straight from the knee to the hoof,but should not be rotated outwards. Hooves: These may be black, striped or white. 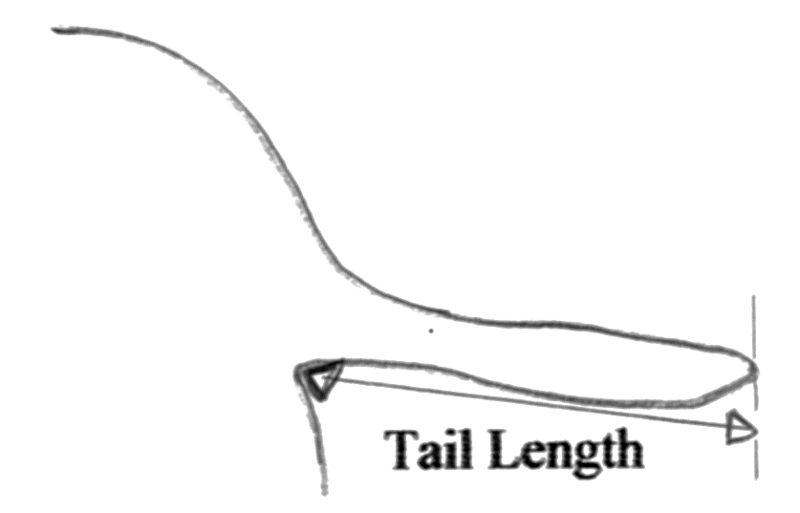 Tail: The tail should be well set on and undocked. Gait: The gait should be brisk, straight and springy. Genitalia: The scrotum of a ram should be finely haired and not woolly. The testes should be well-developed, firm and of a similar size. Height: The ideal adult height at the withers is - ewes from 75cm and rams from 85cm. e) Blindness, blue, china or wall eyes, either total or partial. 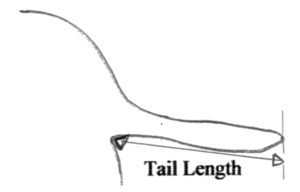 f) Arrow tipped tail - this has appeared in the Dutch flock and is described as a tail whose end vertebrae appear to have been squashed flat, as if ironed flat, like an arrow head at the end of the shaft. g) Sexual defects - i.e. rams without two sufficiently developed testicles apparent in the scrotum. Teeth : It is most important that the teeth bite firmly and fully onto the pad on the upper jaw.